Elizabeth Mann Borgese – The Future is Female! 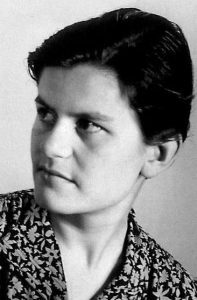 Elisabeth Mann Borgese (April 24, 1918–February 8, 2002) was born into a famous family in Munich, the fifth of Nobel laureate Thomas Mann and Katia (Pringsheim) Mann’s six children. Fleeing Nazi Germany with them, she finished her education at the Conservatory of Music in Zurich, where she studied piano and cello, and arrived in the United States in 1938. In 1939, she married literature professor Giuseppe Antonio Borgese, with whom she moved to Chicago and had two children. She became an American citizen in 1941 and made frequent public appearances throughout the 1940s, lecturing on subjects including European politics and “Women and the Future”; toward the end of the decade she became a proponent of world government, joining the Committee to Frame a World Constitution and editing its journal Common Cause. Her husband died in 1952. While raising her daughters as a single parent, Borgese experimented with science fiction writing, placing three stories in science fiction magazines over the course of 1959. 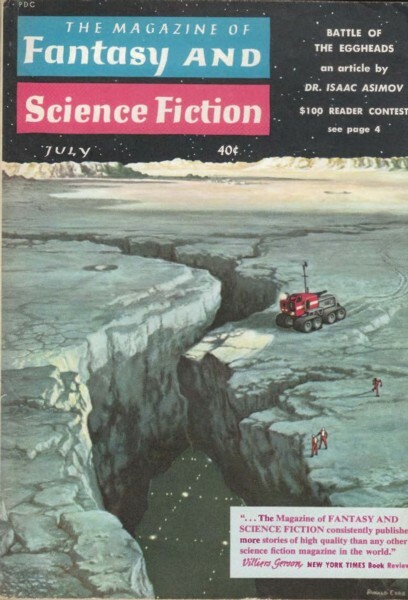 Although Borgese was known for her optimism and energy, most of her speculative tales are dark and pessimistic, revolving around near future worlds whose dangerous scientific and technological arrangements are reflected in damaged human psyches and distorted human bodies. The most significant of these are collected in her 1960 anthology, To Whom It May Concern. In 1963 Borgese published Ascent of Woman, which argued that sociological trends would eventually “produce superior women, men’s true equals.” Becoming a senior fellow at the Center for Study of Democratic Institutions in Santa Barbara in 1964, she began to focus on environmental issues facing the world’s oceans and the law of the sea; she organized the 1970 Pacem in Maribus Conference which led to the United Nations Convention of the Law of the Sea, helped to establish the International Ocean Institute at the Royal University of Malta, and published The Drama of the Oceans (1975). She moved to Halifax, Nova Scotia, in 1978, taking Canadian citizenship, teaching political science at Dalhousie University, and writing subsequent books on maritime subjects. A global “Ambassador of the Seas,” she received numerous honorary degrees; was ordained a Member of the Order of Canada in 1988; and won Germany’s most prestigious award, the Commander’s Cross of the Order of Merit, in 2001. Borgese died in St. Moritz, Switzerland, at eighty-three.